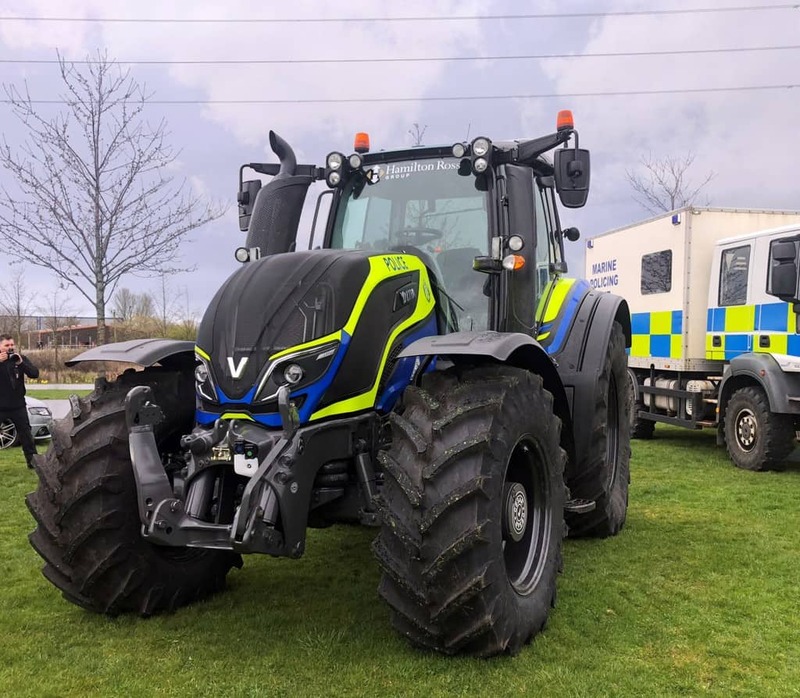 The Scottish Partnership Against Rural Crime (SPARC) unveiled its new tractor this week in an effort to tackle rural crime and raise awareness of the issue. The creation of the Valtra T174EA SPARC-branded tractor follows on from the popularity of a similar branded tractor at the Royal Highland Show last year, which was created to raise awareness of the partnership at agricultural shows and to open discussion with the public and those within the agricultural industry. This year’s tractor is supplied by Hamilton Ross Group in partnership with SPARC and will visit more than 30 agricultural shows across the country in the coming weeks and months. Its first outing was at Emergency Services Day on Wednesday 3 April for a press launch. SPARC is made up of partners from across the rural community, including Police Scotland, NFU Scotland, Scottish Land and Estates and NFU Mutual. Alan Dron, Rural Crime Co-ordinator for SPARC, said: “A key aspect of SPARC is to build confidence and trust amongst those living, working and enjoying Scotland’s rural communities that any crime related issues affecting them are taken seriously, acted upon and understood.